A variety of Missouri Landlord Forms are crucial to have available at all times, throughout every tenancy. A vague lease agreement can easily come back to haunt you if you take legal action against a tenant or if the tenant pursues an action against you in court. The Residential Lease Agreement spells out the terms of the lease as well as the duration of the lease. Having your attorney to draw up a valid lease form is likely very costly and attempting to draw it up yourself is also potentially costly, especially if you fail to create a document that does not comply with Missouri laws relevant to the lease agreement. The Residential Lease from American Apartment Owners Association gives you the professional document you need for every tenancy. The Move In/Move Out Checklist is essential to every tenancy and protects you from any false claims by a tenant alleging pre-existing damages in court and this is one of the Missouri Landlord Forms that requires tenant signature, therefore providing evidence of agreement by the tenant regarding the condition of the premises. You and your tenant go through the property noting the condition of the property on both the Move In checklist at the beginning of the tenancy and the Move Out Checklist at the termination of the tenancy. If there are damaged areas or other repair needs, the parties note these items on the forms. This can also serve as documentation of damages if the court receives a Move In checklist that does not include damages discovered at the termination of the tenancy, other than normal wear and tear to the property. 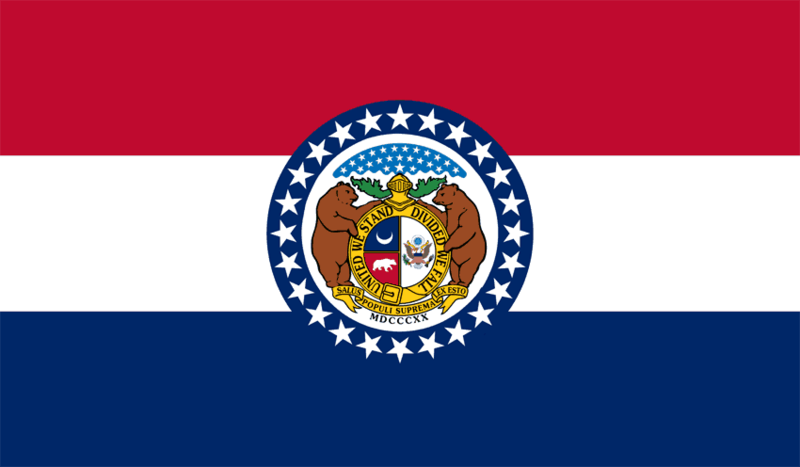 The Missouri Revised Statutes, Chapter 441, Landlord and Tenant prohibits any use of a residential rental property for any illegal purposes. The rental agreement is voided in event that the property is used for any illegal activities. If a landlord learns that the property is used for illegal purposes, the landlord can serve the tenant a Notice of Termination of Tenancy and proceed with legal action. Missouri also permits legal action when a landlord is denied entry to the property for purposes of making necessary repairs. Make sure you have proof of Notice of Entry each time that you need to enter one of your occupied rental properties. Giving tenants written notice provides your tenant with reasonable notice that you need to enter, the reason and when. It also provides proof that you could not make necessary repairs due to denial of entry should a tenant claim you failed to make necessary repairs. If you discover that a tenant has a pet and you forbid pets, that another person now resides in the premises that is not on the lease or another violation of the residential rental agreement, you will want to serve your tenant with the Notice to Perform or Quit. This advises your tenant to correct the situation or to quit the premises. Another one of the essential Missouri Landlord Forms is the Notice to Pay Rent or Quit. When your tenant is behind on rent payments, this notice gives the tenant notice to pay all past due rent or move out. If the tenant still fails to comply, the Notice of termination of Tenancy serves as notice that the tenancy is terminated. All these as well as other crucial Missouri Landlord Forms serve as professionally created documents that can serve as legal evidence should the need arise. Having the right form at the right time starts before you even hand over the keys and does not end until after the termination of the tenancy. Comprehensive Missouri Landlord Forms potentially gives you the confidence you need, knowing that you have all the forms necessary throughout every tenancy, saving you a great deal of money over the cost of legal fees. The American Apartment Owners Association provides landlord forms nationwide. Looking for a state other than Missouri?